Last week I did something I never thought I would ever have the guts to do… ever. I went scuba diving (in a cage) with great white sharks. What could this possibly have to do with yoga you may ask? Sometimes in life, or on the mat, I think it is important to put ourselves in uncomfortable positions so that we can grow from the experience. I am not suggesting everyone should go out and do a cage dive but I am intrigued by the idea that when we try something new, something out of our comfort zone, we might just be surprised by what we find. Looking down into that cage and thinking about being in it- I was terrified. Once I saw the sharks swimming around the boat I became intrigued and curiosity got the better of me. I am so glad it did. 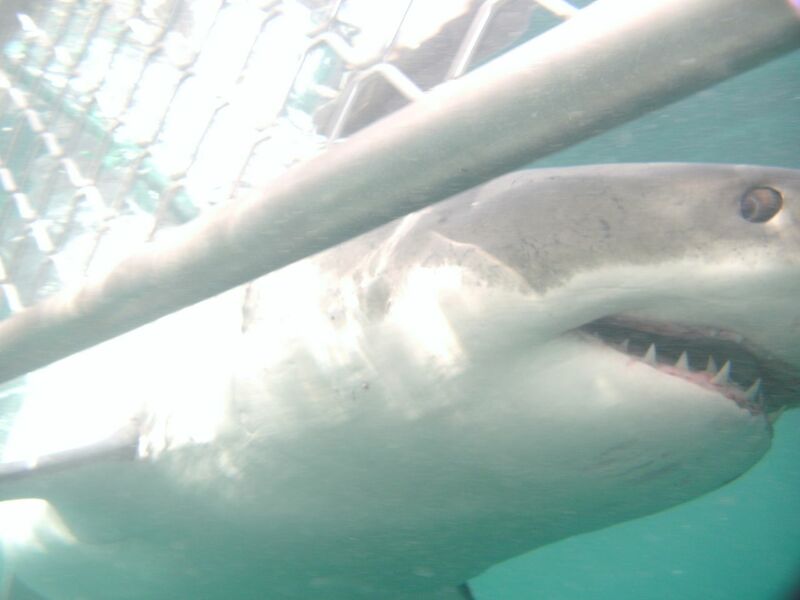 Once I was in the cage I did not feel nearly as scared, I stayed very still, listening to my breath and watching very closely as they swam by and inspected the cage. A teacher of mine back in Los Angeles used to talk about practice in this same way. When we practice asana it isn’t always the yummy feel good poses. Many poses, especially when we are learning them, are challenging and at times scary and a bit uncomfortable. Yet we continue to practice, to put ourselves in these new places, finding our new edge and learning about our bodies and ourselves along the way. We never know how something is going to feel until we try it for ourselves, the mind has all sorts of idea of what something will feel like but the mind is notorious for making things seem bigger than they actually are when we are experiencing them. Within my practice this past week I’ve tried to keep that in mind and to challenge the edge I thought I had, my practice has changed dramatically since leaving home and I found some new ideas and new challenges to work with as a result. In that vein, I challenge each of you to try something new, something that mine seem scary. Like many things, it is often the thought of the action that is scarier than the action itself.